I first heard about Kush Climbing right around the time their Kickstarter campaign launched. My curiosity was immediately piqued by their vision to create environmentally friendly, customizable hemp crash pads. In mid-July, I was lucky enough to catch up with the founders, Kim and Kyle Vines, in Lander, WY, at the International Climbers Festival. Kim is quiet at first with a shy smile. But if you get her on a passionate topic she explodes with energy and her love for the outdoors, music and ice cream quickly become apparent. Kyle is extremely animated from the word hello and will greet you with an ear to ear smile. He’s a true geek at heart and when you start hammering him with detailed design questions he doesn’t hesitate to dive in. I only found out later that he loves kendama and am bummed I didn’t get to witness his skills. Businesses are started when founders have a vision of something missing from the market, and they want to solve that problem. For Kush Climbing, founders Kyle and Kim found that the crash pad market lacked creative and sustainable options. They know the climbing community, including themselves, is full of creative and environmentally conscious individuals. But surprisingly there hasn’t been a bouldering pad that is squarely aligned with those values. As the story goes, Kyle was actually sketching designs for a collapsible grill when he drew up the first crash pad design. On the front of the pad he drew two open hands, ready to catch your fall – the hands of Buddha. And then wondered: why can’t we print whatever we want on the landing area of a crash pad? The idea stuck and they began the long process of developing a real product. The idea of total creative control over the design of the crash pad felt big. This wasn’t about cutting out pieces of colorful fabric and making great designs with them, this was about the details. The fact that a climber could design whatever image they desired, and put it on a pad. For their inaugural Kickstarter campaign and initial designs, Kush offers some stock top sheet designs along with the ability to order a completely custom pad–with your choice of design. But even those “stock” options were chosen by interviewing climbers and getting the early adopters to weigh in on their preferred designs. The majority of climbers appreciate art, but not all make it. And that’s one of the reasons Kush is super excited about artist collaborations. Kush’s first artist collaboration is with Caleb Freese, an artist, trainer, and instructor with Brooklyn Boulders. If Kush raises 25k, their stretch goal, then all pledges of a Custom Pad will have the option of choosing Caleb’s pad design, Candy Crash Saga. Kim and Kyle both get super excited when thinking about how Kush pads could be displayed in an apartment as an art installation. And, perhaps the biggest selling point: when taken outdoors the pad transforms into functional art. Further into the future, Kyle vividly imagines the day when there are numerous custom Kush pads below the Peabody boulder in Bishop, all the individual designs working to create a larger mosaic. As if enabling climbers to order a totally custom design didn’t feel compelling enough, Kush pads also benefit from some serious sustainability chops as well. Kim and Kyle had always wanted to start their own business, but they wanted to ensure that it would create change at a scale much larger than could be generated by one or two people. Their personal values informed their decision to use sustainable fabrics. It turns out that the textile industry is the 5th largest contributor of C02 emissions in the US. Kush did not want to be part of that trend so they started with hemp, a surprisingly strong and sustainable material. They found a supplier in the states and took their time in creating a material that would allow for the best mix of durability and light weight construction. They also wanted to ensure the printed graphics would look great and endure the test of time. Kush also sources every material from Colorado, except for the low VOC (volatile organic compound) foam, which comes from the Mid-West. All the pads are hand made in Denver, CO which eliminates emissions from overseas shipping. And when they order foam they don’t expedite the delivery. This makes the process take a little longer, but they aren’t in a hurry to put any more greenhouse gases into Earth’s atmosphere. Once Kush climbing makes pads on a larger scale, they’re excited to streamline and innovate each part of the process, reducing their footprint even more. The first pad Kush made was super hard to sew, with the unruly hemp, and it was super heavy. But the process of creating a pad from scratch was totally motivating. Initially, Kush wanted to make a pad out of all hemp textiles, but that was impractical because hemp is so heavy and expensive (more than double the price of the other options). As they gained more connections with manufacturers and suppliers they kept pivoting and testing with new materials. During initial research, while talking to every climber they met, ranging from route setters, developers, casual and competitive climbers, Kush found foam is the #1 issue on a climbers mind when selecting a bouldering pad. Researching the exact foam layout they wanted became one of the most protracted parts of the process, taking months. 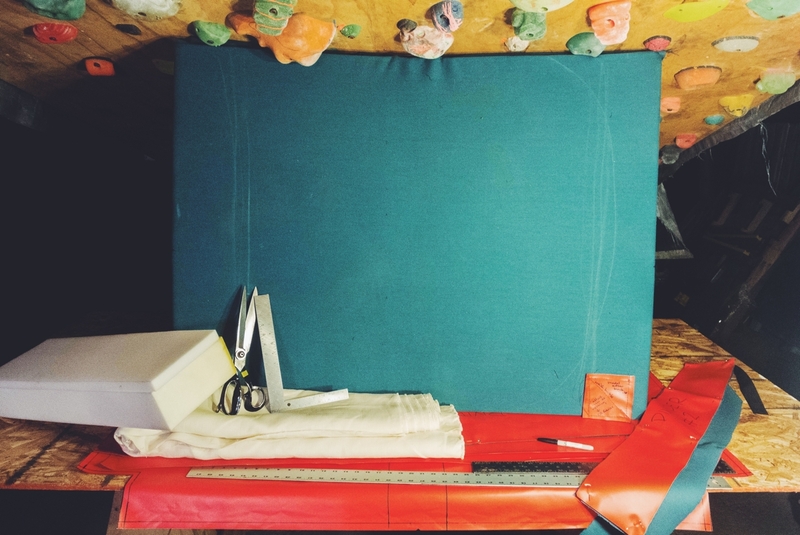 Their research also included extensive analysis of the bouldering pads currently on the market to understand what is considered standard. They opened their own pads, their friends pads, and every pad found in the gear shops on the Front Range. They ordered over $1500 of foam samples and once all the samples arrived they still had the arduous process of figuring out the perfect combination. In the end they arrived at 2lb density foam. The cell structures are different for each of the layers and Kyle explained that, “The top layer is a softer, more memory foam type of open cell foam. The middle layer is closed cell and perfect for keeping one from bottoming out. The bottom layer is a stiffer open cell layer that provides more compression resistance than the other open cell foam of the same density. Together the layers are a wonderful catch. The final foam configuration is 1″ open cell + 1″ closed cell + 2″ open cell.” Overall the Kush pad is about 13lbs. And for the cherry on top, the top layer of softer foam turns this pad into a perfect sleeping pad. The foam scraps from the softest foam are used as padding in the backpack straps. Regen™ nylon protects the foam on the outside and is less scratchy when it comes in contact with the skin versus heavy duty Cordura®. 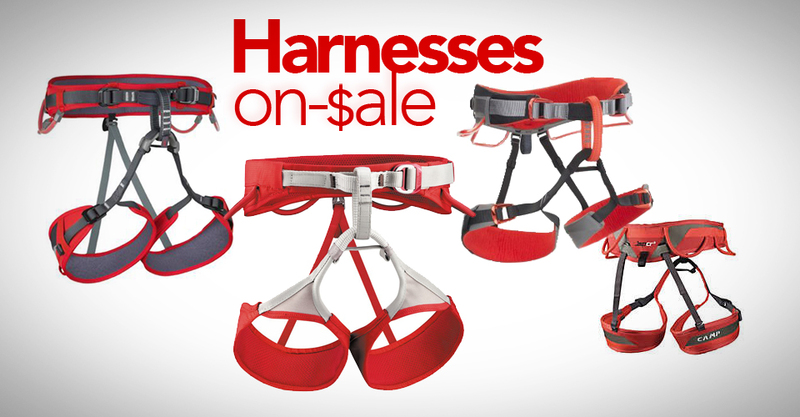 The straps have a “one size fits all” geometry. Kush did a lot of measuring and testing to find the sweet spot that works well for founder Kim (5’3″) to their tallest friend Zachery (7’0″). You’ll also notice bright tubular webbing for the handles. Kush toyed with using recycled climbing rope (and might in the future), but they were more excited with the comfort, pop of brightness, and also the lack of sharp edges that tubular webbing provides. When I asked if the custom graphics could wear off they replied, we “did a variety of testing to ensure that the prints won’t diminish over time.” But they added, if, for whatever reason, the topsheet becomes diminished, Kush can reprint and repair your crash pad, since they keep every design file in a database. Technically Kim and Kyle met in kindergarten–there’s photographic proof, even if they don’t remember it. They prefer to say they met and started dating in college at LSU. After graduation they set out to explore and bike around Europe and not only did that trip cement their relationship, but they also discovered rock climbing. Back in the States, totally obsessed with climbing, a trip to Yosemite was prioritized. As for the business relationship they say everything is fair game. Generally, Kim does the business development, public outreach, and fabric cutting. Kyle tends to pick up the product development, R&D and sewing. But they work together in everything and collaborate on the design work. When they talk about their business process, they explain their Project Wall, covered in Post-It® notes that detail all the remaining tasks. It gets pretty nerdy as they’re arranged by type of project and level of importance. The other wall is the Done (pronounced Dawn) Wall. This is where they move a Post-It® once a task is completed. If it’s on the Project Wall it eventually needs to be sent to the Dawn Wall, regardless of who does it. They haven’t quit their day jobs yet, but they’re hoping to make an impact on the market that will lead them to move to Kush Climbing full time. And that’s partly why they planned their pad release on Kickstarter. Testing is always the best part! Kickstarter campaigns often look so natural and easy. The best ones have intuitive value propositions. It’s hard to see all the work that goes behind making that happen. Kush worked on their concept and campaign for over a year before launching. And it’s still a non-stop process; they are continually updating and refining. For $4 – 140 you can get a bunch of Kush Climbing gear like stickers, a climbing brush, hats, shirts, chalk buckets and duffel bags (and combinations of all that gear). Crash Pads themselves started at $285 for the Original Design and $385 for your own Custom design. At the moment, the Custom pad is up to the $400 reward level and there are only 5 backers left! The top Kickstarter reward includes two Custom Kush pads where you can print one design across two pads (oh the possibilities!) or have 2 custom designs. Check out the options on Kickstarter. In the future, with Kickstarter’s help or not, Kush will also explore options for bulk purchases to allow for lower costs for their eco-friendly bouldering pads (think matching Climbing Team pads). One of the biggest challenges and main barriers of getting Kush out the gate and running is the cost of sustainable materials. Hemp is significantly more expensive than traditional Nylon. A large chunk of time has been dedicated to figuring out the margins of how to bring a sustainable pad to the market. They’re hoping climbers are ready to vote with their dollar. Also, since printing on organic fibers isn’t common (synthetic is the norm), there were additional challenges that needed to be researched and accounted for. To get photo quality graphics on their hemp crash pads Kush needed to use heat, a more arduous process typically reserved for spandex and other non-coated synthetic materials. When I asked Kush about their challenges, they quickly added, “It may have been a little extra work, but we are new at this whole thing. Why not go for the best environmental option?” In their minds, the “little” extra effort is worth it and they see no downside when it comes to the performance of the product. If you’ve ever wanted to print your own custom pad design, or have super intricate patterns on your pad, this is your chance to realize that vision and do so with an environmentally friendly hemp pad. If Kush had decided the environment wasn’t a priority, this process would have been a lot easier. But, they are unwilling to compromise their values to make a few extra dollars or reduce development time. Currently (until Friday, August 12th, 2016) you can find Kush pads on Kickstarter. Kim and Kyle are doing everything in their power to make Kush Climbing a reality. As they say, “where there is a will, there’s a way.” They have the will. And they’re are making their way. The best way to check out Kush climbing is by visiting their Kickstarter campaign. If you aren’t ready to invest but are looking to support the cause and learn more, you can also find Kush Climbing on Instagram, Facebook, Twitter, Pinterest and Snapchat. Founders Kyle & Kim with their original business idea, written in the back of a guidebook. All photos in this post were provided by Kush Climbing. The most professional looking pad shots were taken by the talented Carlos Romania.